Game comes with a plastic outer case sleeve. Images are of the sleeve. Box Text: CALL THE SHOTS. PULL THE TRIGGER. ERASE THE TRUTH. As Special Agent Carter, use the power of battle focus to command your squad in tactical combat to outsmart the unknown enemy and eradicate the threat. 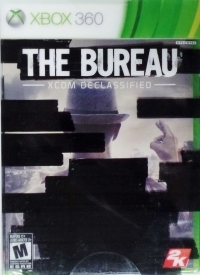 This is a list of VGCollect users who have Bureau, The: XCOM Declassified [CA] in their Collection. This is a list of VGCollect users who have Bureau, The: XCOM Declassified [CA] in their Sell List. 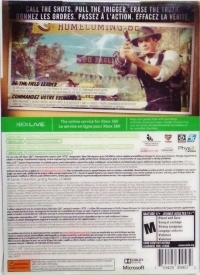 This is a list of VGCollect users who have Bureau, The: XCOM Declassified [CA] in their Wish List.